In his new book, "Tribes," Seth Godin asks a question about your work. "Do you believe in what you're doing? Every day?" He points out that the answer to "How was your day" is more important than it has ever been. I agree 100 percent. I think that Godin over-estimates every individual's ability to walk away from a career that has more bad days than good, or to lead from the bottom to change that ratio. I don't live in Silicon Valley or NYC or Austin. A whole lot of us live in places where the factory model of "managing employees" still trumps "leading a tribe." But in institutions built on history and tradition and stability, it's not going to change quickly enough for those of us who are ready to make big changes day before yesterday. That's when you recognize that you may be laying the groundwork today for big changes when the time is right. Get active on Twitter. If your museum isn't ready to blog, get active on your own blog. Make inroads with your community. Start building your social media muscles so you'll be ready right out of the gate when the time comes. Who thrives in uncertain times? The ones who make us feel better. THe ones who reassure us. The one's who fill us with chocolatey goodness. Ad Age reported yesterday that Hershey's third quarter earnings were up 98 percent. Of course, Ad Age credits increased advertising, but I tend to think it has more to do with the First P of marketing: Product. Hershey has a good product, and they've responded well to their consumers' desires for something boutiquey with their Cacao Reserve and Bliss line of tiny chocolates. Although I have been known to happily throw down on a bag of Hershey's Miniatures, those Bliss chocolates have a meltaway center. Damn - that's the kind of smart product development that made it possible for Hershey to introduce new products throughout the Great Depression without laying off any workers. In short, they make visitors less comfortable. Maybe the operative question in times like these isn't "How can we scrimp" but "How can we provide comfort?" And maybe there are ways that don't involve spending any more money. 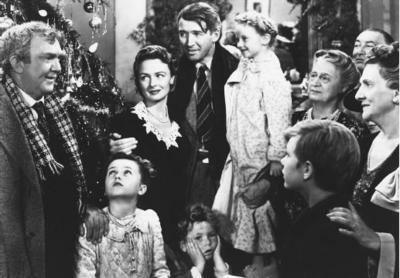 Maybe the members' reception is a free screening of "It's a Wonderful Life" and you serve hot chocolate and popcorn. Maybe that staff meeting takes a tone of reassurance, and invites creative ideas for spreading reassurance to members and visitors. Maybe you serve little chocolate candies with meltaway centers at that meeting. blogging about the product was. I signed up, and I didn't blog about my own experience with the product because the coffee I received was already ground. I did eventually drink it, and it was OK, but nothing that moved me to write about the experience. It's easy to get people to sign up for free stuff, especially if they can do a bit of self-promotion in the process. It's the same old press release strategy, but instead of reaching out to reporters and making their jobs easier, you reach out to bloggers and give them a little perk. But that's precisely where the rules have changed. Bloggers aren't reporters. They're citizen journalists who publish content they're passionate about. I don't blog about food or coffee (unless it is to complain about the criminal lack of Mexican food in Upstate New York). But I happen to be passionate about coffee. If Joffrey's had blown me away, I would have written about it. Like all other people who are really passionate about coffee, I know that great coffee is brewed seconds after grinding the beans. If you put a bunch of extra steps between grinding and brewing (like packaging the grounds and mailing them to bloggers), it's not going to be great coffee. So today, when I got an email telling me that Joffrey's has "crowdsourced" a new coffee, I deleted the email and I'll probably unsubscribe, because this relationship is not adding value to my life.